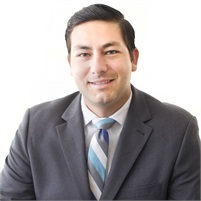 Daniel brings a wealth of knowledge and dedication to enhancing the financial picture of his clients. He believes the most important aspect of his business is the relationship with his clients. His goal is to positively impact their financial world by finding ways to maximize their wealth, amplify options and diminish risk. Daniel joined the financial services industry in early 2009. Since then, his energy, drive and enthusiasm for the industry have led him to quickly grow his practice and excel in the financial services world. He has since become our Living Balance Sheet® Specialist, assisting many of our advisors implement the use of this state of the art tool into their practice and with clients. Daniel attended Stony Brook University and received a Bachelor of Science in Psychology with a concentration in organic chemistry and classical physics. He was a 4 year member of the NCAA Division I men’s soccer team and also played with Academia Quintana F.C. of the Puerto Rico Soccer League; the top flight division in professional soccer in Puerto Rico. Daniel is currently an active coach at the Three Village Soccer Club where he coaches the Stony Brook Dominators. He was the guest speaker for the National Junior Honor Society and is in the process of establishing a scholarship at Brentwood High School. He is a volunteer of the Adapted Aquatics Program at Stony Brook University. In his free time he enjoys spending time with his family and friends.